Forget conventional hoses–try Kanaflex hoses in Anaheim CA for superior performance and durability. Ever wondered why so many industry professionals are ditching the usual heavy, expensive, hard-to-handle hose options in favor of Kanaflex hoses in Anaheim CA? Well, Kanaflex has been producing some of the best hoses on the market since 1952, and they continue to use revolutionary production methods to incorporate the best properties of plastic and rubber in their hoses. This is why Kanaflex outperforms conventional hose. 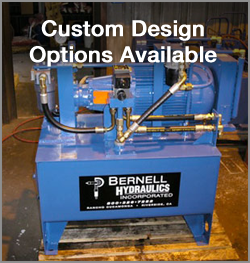 Expertise: At Bernell Hydraulics, we’ve been selling top-quality hydraulic hoses and other components since 1977. So if you need assistance comparing different products or finding the specific Kanaflex hoses in Anaheim CA that meet your equipment specs, we can definitely help. Convenience: We want to make getting your new Kanaflex hoses in Anaheim CA as convenient as possible, which is why we have multiple storefronts and an online store to serve you. If you can’t make it in to a store to pick up your order, we offer local delivery or nationwide shipping. Ready to Buy Kanaflex Hoses in Anaheim CA?